Collisions with freight trucks and tractor-trailers cause a large number of traffic fatalities in Philadelphia and adjacent Montgomery County. Truck accident attorneys at The Brod Law Firm are committed to ensuring that our clients receive maximum compensation in these cases. Because drivers of these trucks are under pressure to reach their destination, they often drive when exhausted. This fatigue, coupled with the size and mass of the vehicles, accounts for the large number of serious injuries and fatalities tractor-trailers cause. Although recent legislation has attempted to prevent overly exhausted drivers from getting behind the wheel of tractor-trailers, injuries and fatalities continue to occur nationally and locally in Montgomery County highways. Truck accident lawyers at The Brod Law Firm are retained in many cases involving tractor-trailers each year. Because of the size of tractor-trailers, truck drivers often receive minor injuries compared to the major injuries and fatalities of passengers in smaller vehicles, and our Bala Cynwyd truck accident attorneys want to ensure that the victims of these accidents are fully compensated for these injuries. At The Brod Law Firm in Bala Cynwyd, Top rated truck accident lawyer, Gary Brod successfully litigates truck collision cases each year and achieves sizable awards for our clients. 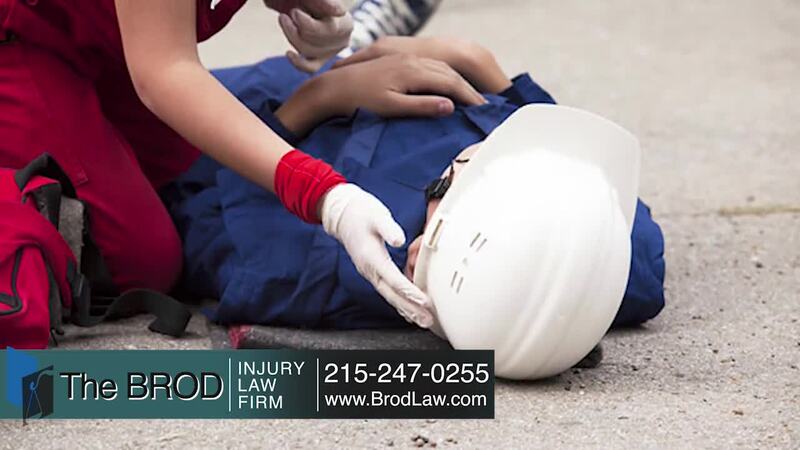 Contact the Brod law Firm today to speak to an expert Pennsylvania truck accident lawyer. At The Brod Law Firm in Bala Cynwyd, Montgomery County, our truck accident lawyers are aware of the severe dangers surrounding tractor-trailer accidents. The injuries passengers receive range in type and severity depending on where the vehicles hit, the speed at which the vehicles were traveling and the size and make of the vehicles involved. Passengers who are involved in tractor-trailer collisions can receive moderate injuries, but often injuries are rather severe. Bala Cynwyd truck accident attorneys at our firm report that the most common moderate injuries include head and neck injuries, back injuries, broken bones, cuts and bruises and other soft-tissue injuries. Severe injuries can include brain damage, spinal fractures and internal injuries. Unfortunately, fatalities can also occur during tractor-trailer collisions. Gary Brod is an experienced Bala Cynwyd truck accident lawyer and founder of The Brod Law Firm. He understands the severe consequences that result from accidents involving trucks on the road and highways. He has handled over 193 cases involving trucks and tractor trailers. Our Bala Cynwyd truck accident law firm is very convenient to many areas, the Main Line, i.e Merion, Merion Station, Haverford, Upper Darby and Havertown as we are close to City Line Avenue and approximately one mile from Route 76 (Schuylkill Expressway) and located at major public transportation lines. We are near the Philadelphia areas of Manyunk, Roxborough, East Falls, Overbrook Park and West Philadelphia. Don't settle for less than you deserve. Insurance companies have trial lawyers. Shouldn't you have an experienced personal injury truck accident lawyer on your side? Obtain the benefits that a top rated truck accident lawyer can provide you. Call Gary Brod anytime at 888-435-7946 (888-HELPWIN) for a free no obligation consultation and explanation of your legal rights. We also have the option of easy phone sign-up process and we can begin work today. Even if you are not sure you have a case, your telephone call is welcomed here. We will provide free legal advice at no cost to you.